The biggest show on snow is just over a week away and what better way to get amped for the upcoming Winter Games in Sochi than exploring Whistler’s 2010 legacies to try some of those Olympic sports yourself? Shooting biathlon rifles or rocketing down the bobsleigh track at actual venues used in the 2010 Winter Games is not only a sweet way to spend an afternoon, it’s also fosters a more meaningful connection with our athletes as they take to the stage in Sochi next week. 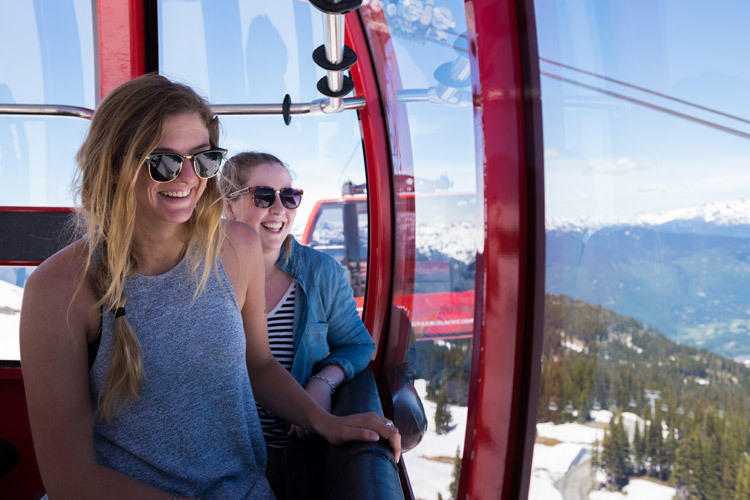 We all have a little Olympian inside us so here are The Whistler Insider’s top ways to feel like an Olympian (without the lifetime of training). The Canadian National Ski Jumping team is training up at Whistler Olympic Park until Saturday February 1st, 2014. Jumps on the “Large Hill” can reach distances up to 140 metres (459 feet)! Witnessing that kind of airtime live is guaranteed to get you pumped. 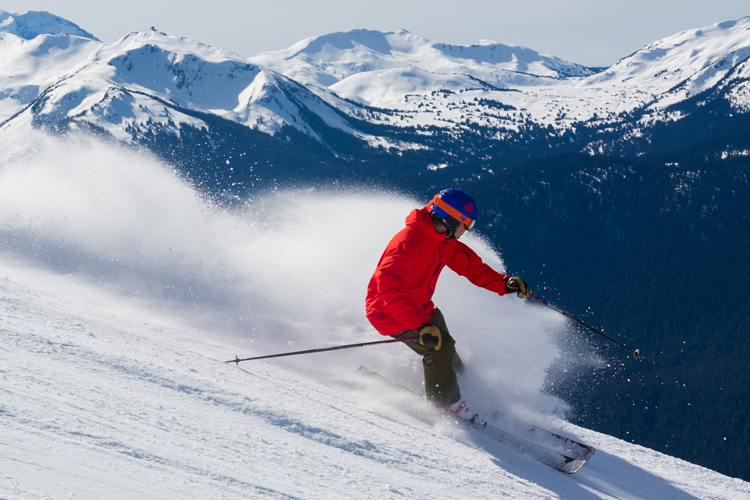 Training takes place every day from 10-11:30 AM and spectator admission to Whistler Olympic Park is $10 per carload. You can also try out the free toboggan runs right at the base of the ski jumps while watching our athletes take to the skies. That’s right, anyone can come shoot an official biathlon rifle on the same range the world’s best used in 2010. Just sign up for one of the daily biathlon lessons at the Whistler Olympic Park. Plus you get to do a little cross-country ski sprinting in between the shooting sessions to really get an idea how difficult it is to hit a target the size of a juice bottle cap while your gasping to catch your breath. (Hint: It’s way more difficult than the world’s best make it look. And also really fun). While you’re up at the venue, you may as well go for a long-distance XC ski and enjoy the tranquility and beauty of the stunning Callaghan Valley. Other than sticking your head out of the car window on the freeway there aren’t that many ways to understand just what it feels like for an athlete going over 100 km/hour (62 mph). The Public Bobsleigh and Skeleton programs at the Whistler Sliding Centre will give you that feeling, and more. Professional drivers guide the bobsleigh down the fastest track in the world at speeds of up to 125 km/hour (78 mph). The public skeleton rides often hit the 100 km/hour mark, not quite as fast but you’re all alone, going face first down a frozen ice chute. And it rules. Chances are you are never going to ski even half as strongly or quickly as an Olympic downhill racer. But you can fake it, and feel the winds of glory in your face, on Whistler’s Dave Murray Downhill ski run. This classic is the same run used in 2010 and also one of Whistler locals’ most beloved ski runs. If just going fast isn’t exciting enough, for extra Winter Games street cred you can spend a day ripping laps with actual Olympians like Julia Murray, Kristi Richards or Davey Barr. The Ski or Ride with an Olympian program is a guaranteed trump card for any and all Olympic-themed water cooler chatter back at the office. Hockey is Canada’s favourite game and while there is drop-in hockey regularly at the Meadow Park Sports Centre you need your own equipment to play. An easier way to get on the ice is the free ice rink at Whistler Olympic Plaza – they provide little sticks and nets for kids (or hunched over adults)and you can rent skates as well. 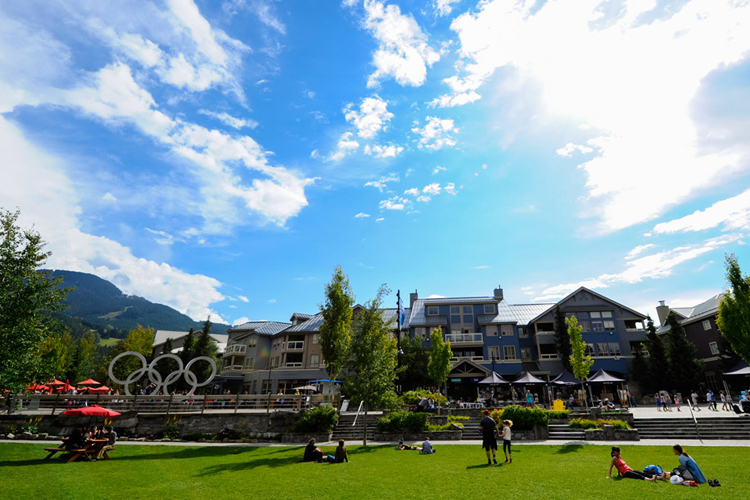 Best of all, the Whistler Olympic Plaza is adjacent to the iconic Olympic Rings and Paralympic Agitos. This is where the medals were handed out in 2010 and if inhale deeply enough you can still smell the pride and excitement of Olympic dreams come true. Whistler has really incredible ski/snowboard terrain parks and even though the National Snowboard Team was training here just a few weeks ago there is a jump up there to suit every skill level. So even if you’re not quite ready to challenge Mike Riddle for Ski Halfpipe glory or go trick for trick with Snowboarder Mercedes Nicholl you can still have fun catching air and pretending. 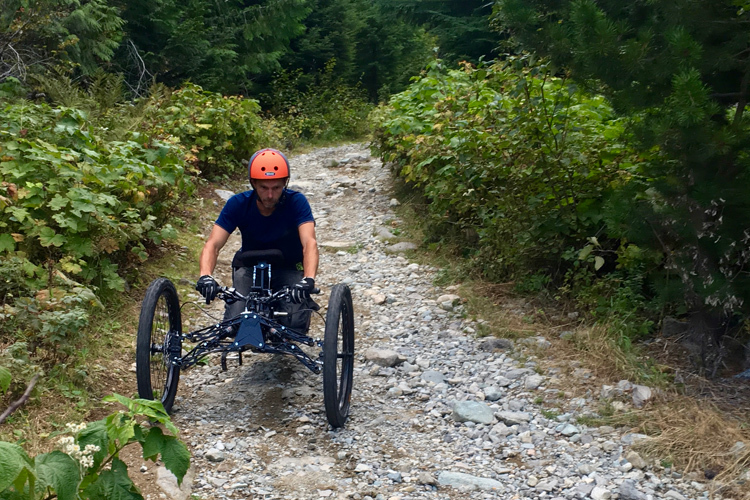 Plus, Whistler’s overall talent pool is so deep you can watch actual future Olympic hopefuls showing their stuff in the black park on almost any given day. A real-life run through the terrain park will undoubtedly help as you cheer our teams to gold. 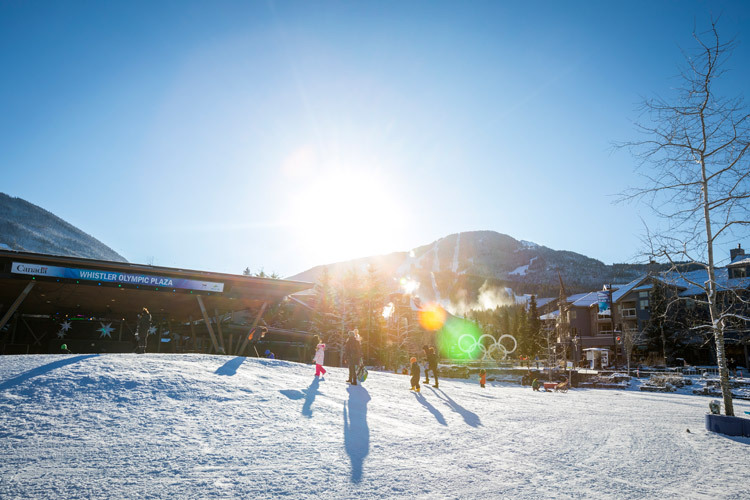 Whistler Village will be running full tilt during the entire 2014 Winter Games in Sochi, with a jumbo screen set up in Whistler Olympic Plaza and a host of special events and gatherings. 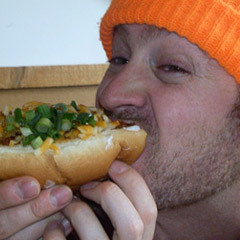 Get all the info you need at Whistler.com and here’s to a safe, successful and incredibly enjoyable Winter Games for everyone.